Easter typically means loads of candy is making its way into your home. So why not try something a little on the healthier side but just as cute? 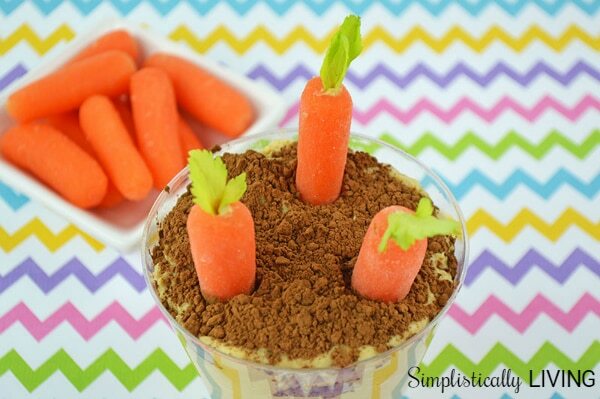 These Healthy Bunny Treat Cups that are healthier but still delicious! They are a unique spin on traditional dirt cups. I sure hope you enjoy! One night in bed I was literally thinking of creative ways to introduce new foods to my son. 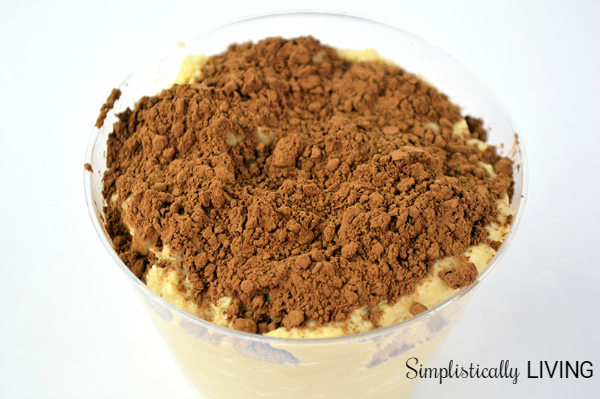 It hit me that “dirt cups” (those pudding and candy filled cups) were popular and why not make one with healthier ingredients? 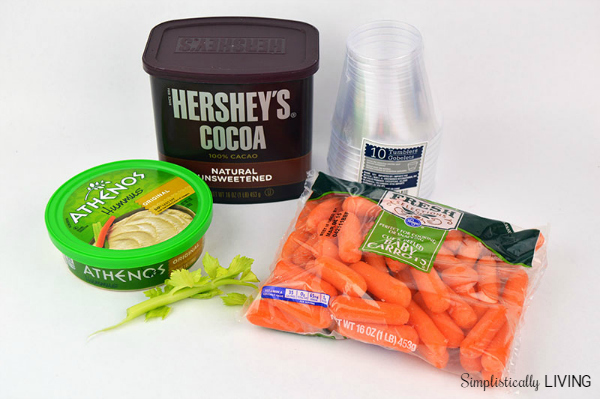 I searched the web and could not find anything like my idea so here you go- It’s a healthy bunny treat cup! It has hummus, carrots, and a bit of unsweetened cocoa (by the way chocolate hummus is totally a thing). In the end, it’s a delicious and healthy snack. Plus it certainly looks cute, right? Want to make your own! Below is the instructions! Enjoy! Fill your plastic cup with the hummus. 1 tub will fill 1 cup entirely to the top. 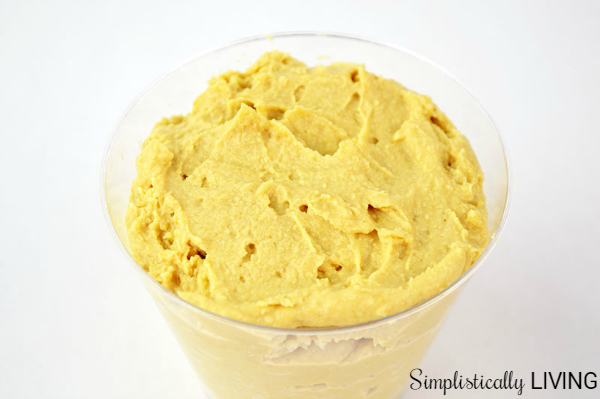 You can purchase smaller sized cups to be able to make more with 1 tub of hummus. Use a spoon to spread the unsweetened cocoa on the top of the hummus. This will be your “dirt”. 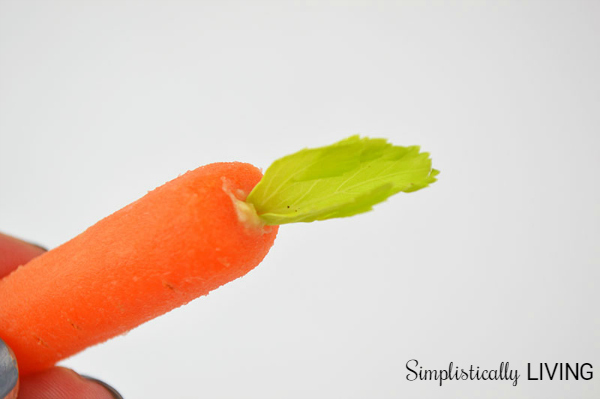 Take the end of a knife and hollow out a small area in the top of a baby carrot. Place a bit of hummus into the hole and place one of the celery leaves in it. 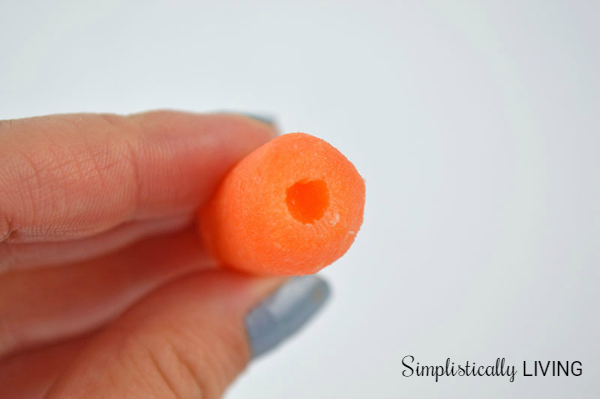 This will make it look like a real carrot. Serve with your favorite whole grain chips and additional carrots for a delicious and healthy treat! Thank you so much Joanne. Since the new started I have really wanted to live a healthier lifestyle and that includes helping my children do that as well. So I really came up with the dirt cups on a healthy side of it. So glad you like it and thank you for stopping by and visiting from the party! This is a great idea. Thanks for posting. Hello from Busy Mondays. How cute and yummy and healthy! Thanks! Healthy is always a good thing! I plan to use this post as a feature for next week link party! Healthy certainly is a good thing and I appreciate you featuring it next week! I look forward to it! Thank you!